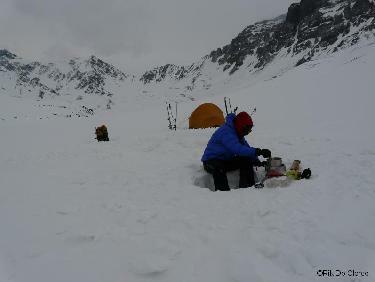 Day 2: great weather in the morning, up to camp 2 at 3400m bad weather in the afternoon. 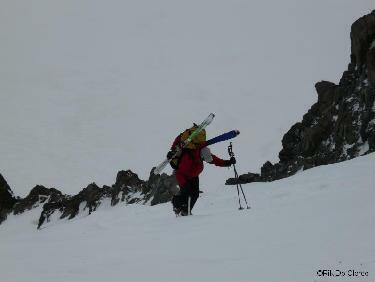 Day 4: little better, up the >45° steep couloir leading to the col at +/-4300m which leads to the main ridge of Marmolejo. Bad weather again and very very windy. 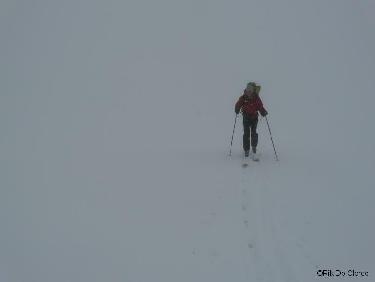 At that point we decided to cancel the climb and skied back to camp 2. 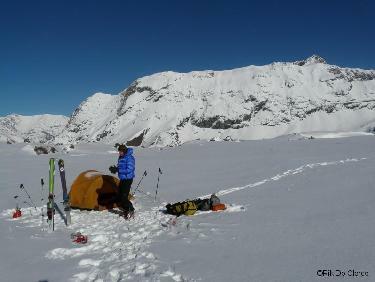 Day 5: ski from camp 2 to refuge.